Uday is a qualified Chartered Accountant, having 21 years of work experience in the field of Audit, Finance and Administration. Currently he is working as the Financial Controller with Zayani Group Companies, Bahrain He has been closely associated and actively involved in chapter activities for many years. Uday is also the past president of ICAB Toastmasters Club. He has held executive positions in social club like the Indian club in Bahrain. He enjoys playing sports specially lawn tennis and is also an avid photographer. Vivek is a qualified Chartered Accountant and an MBA in finance. Presently, CA Vivek is working in the credit & risk management department with Bahrain Islamic Bank. Vivek served as the Chairperson of the Bahrain Chapter of ICAI in 2016-17 and till date is the youngest ever Chairperson of Bahrain Chapter of ICAI. Under his leadership, the Chapter attained new heights and was recognized as the "Best Overseas Chapter for 2016", for the first time since inception of the Chapter. This award was given by the Institute of Chartered Accountants of India from amongst 30 overseas chapters of ICAI. His team achieved many "firsts", including launch of a new website and mobile application for android & apple phone users. The new website serves as a fully automated system and takes care of the entire accounting system with regards to members ledgers, receipt generation, fee receipts etc. For the first time all BCICAI members were able to avail discounts on various outlets by showing their BCICAI membership card. The team, under his leadership also launched the "Sahaayta Project" which helps members in distress (job loss situation) to seek help from fellow members and get placed in the Kingdom in available vacancies. Vivek has an aggregate work experience of more than 12 years primarily in the area of Financial Advisory including in IPO advisory, handling capital market transactions like Rights Issues, Open Offers, Buyback, Delisting, Private Equity transactions, Valuations, M&A transactions and Islamic Banking. Vivek has worked with Ernst & Young and KPMG in the past. Vivek's sector experience includes auto ancillary, telecom, chemicals, steel, financial institutions, oil and gas, Information technology, manufacturing, banking etc. He has now become a banker and takes care of the Credit Risk part of the corporate portfolio of Bahrain Islamic Bank. Kapil is a qualified Chartered Accountant, CFE, and CIA has more than 18 years of experience in the field of Internal Audit and Fraud Investigations. Currently he is working with Batelco as Manager-Group Internal Audit. In Bahrain for 8 years, he is closely associated and actively involved in chapter activities. Kapil is also a past president of ICAB Toastmasters Club. Meenakshi Sundaram is both a Chartered Accountant and a Cost Accountant with over 15 years of experience across Audit and Finance Management. He started his career with ITC Ltd, a leading conglomerate in India and is now employed with Business International Wll (Xerox) as Finance Manager.An active Toastmaster and counselor of the Millennium Leaders Gavel Club at the New Millennium School, Bahrain, he takes active interest in coaching and mentoring the youth in improving their communication and leadership skills. Apart from Chartered Accountancy, Sanjay is also a qualified CIA, CISA & PRM. He has over 20 years of post-qualification experience across diverse sectors. Sanjay started his career in practice of profession of chartered accountancy. Sanjay is employed with Central Bank of Bahrain as Head - Reserve Risk Control. An avid reader with a passion for teaching. Sanjay possesses excellent communication skills. He is also a member of Lions Club of Riffa and Past President of ICAB Toastmasters Club. Muralidhar is a Commerce Graduate (Honors) with nearly 20 years of diverse experience across automobiles, plastic engineering, consumer electronics, appliances, real estate & construction in India and the Middle East. He is employed with Haji Hassan Group in a senior management position.An active and Distinguished Toastmaster, has held numerous leadership positions in both Area and District levels and is a Chartered member and past president of ICAB Toastmasters Club. Balraj has more than 27 years professional experience in public accounting, management consulting, financial re-engineering, business turnaround advisory, mergers & acquisitions, project evaluations, feasibility studies etc. He held leadership and advisory roles with several family owned and diversified business groups within India and the Middle East. 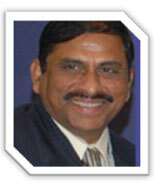 Qualified in 1988, he is a fellow member of the Institute of Chartered Accountants of India (ICAI). He was instrumental with the revival of the Bahrain Chapter of the ICAI and also served as its officer in various capacities including its Chairman during 2011-12. Also held many leadership roles with the Toastmasters International, a world leader in communication and leadership development, he has conducted many workshops and seminars for the professional fraternity and Indian diaspora in Bahrain. 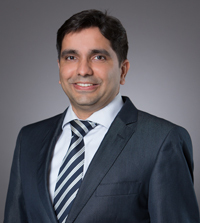 CA.Shaukat Lokhandwala is a Finance professional with 25 years of post qualification experience with multinationals and closely held Groups in India and the Middle East. He is currently General Manager - Finance, Haji Hassan Group, a leading business house in Bahrain with operations spread over the Gulf. 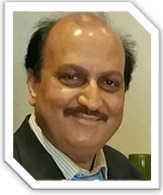 Shaukat Lokhandwala is a Commerce Graduate from Mumbai, India, after which he qualified as a Chartered Accountant in 1985, in his first attempt. In the year 2000 he added the US CPA degree to his professional qualifications, scoring a whopping 94%, the highest ever achieved in Bahrain at the time. 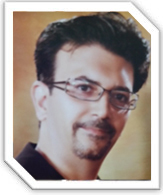 He was the Founder President of the Bohra Toastmasters Club and a Past President of the Lions Club of Riffa, Bahrain. He is an avid quizzer and was part of the team that won the 'Brains of Bahrain' quiz as also the Standard Chartered Business Challenge. 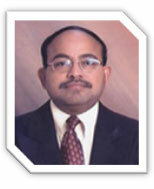 Alok served as the Chairman of Bahrain Chapter of ICAI in 2009-10. 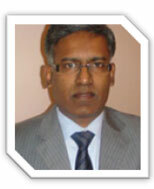 A Chartered Accountant (1997) Alok holds a Bachelor Degree in Commerce (1994) and is an ISO 9001 Internal Auditor. 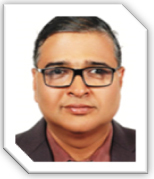 Alok joined the managing committee five years ago, and he has served the chapter in various capacities, viz., Managing Committee Member, Joint Secretary, Secretary and Vice Chairman. Alok started his career with Hindustan Petroleum Corporation Limited, a Fortune 500 company. He currently holds the position of Finance Manager - Treasury & Credit with Y. K. Almoayyed & Sons, a leading business house in Bahrain, dealing with Automobiles, Heavy Equipments, Electronics, Construction, BMS, Furniture, Building Material and Medical Technology. 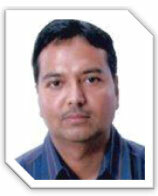 Alok was President of the College Student Union in 1993-94, on the basis of college merit. Presently, he is also a member of ICAB Toastmaster, Secretary of Lions Club, Riffa, and various social and regional associations. His vision for the BCICAI is to connect more with the members and the ICAI to continue to strengthen the Chapter in the years to come. He intends to communicate the value of the profession extensively, and continue to build a strong vibrant brand. He also intends to collaborate with the social issues in the Kingdom of Bahrain, so that, together, there can be a stronger voice on common issues, and sharing of learning and resources. Mr. Balasubramanyam is a qualified Chartered Accountant (FCA) and also a member of the British Institute of Management, U.K. Mr. Balasubramanyam held very senior positions in the Insurance Industry in the Middle East and Europe. He was with the ACE Group of companies, the largest insurance intermediary in the Arab World for over 12 years. He later moved to The Emirates and worked with Inchcape as the Country Finance Manager. Here he was instrumental in establishing innovative inventory control mechanism and working capital controls. He subsequently established his own Audit & consultancy firm in Bahrain engaged in strategic planning, profitability studies, project evaluation, organizational review, IT planning, Business Process Reengineering, Project reports, feasibility studies, design and development of staff incentive schemes etc. 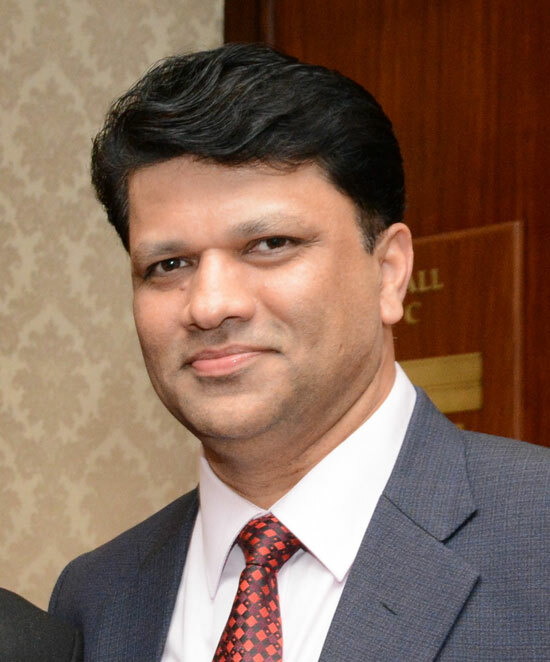 Mr. Balasubramanyam is a practicing Chartered Accountant in Bahrain and is the Managing Director of - Assure Consulting W.L.L- focusing mainly on High end Financial Consulting, Outsourcing and Technology. His clientele includes several Public listed Insurance companies; Banks, large Corporates and Government departments. He is also retained by these companies to place Chartered Accountants to various positions like CFO's, GM- Finance, Financial Controllers, Risk Managers, Compliance Officer, etc. He is a Director and Secretary to the Board of Al Kindi Specialised Hospital W.L.L. 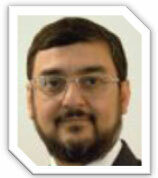 He is an Advisor and Director of several other Companies in Bahrain and India. 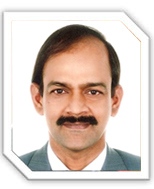 Mr. Balasubramanyam has also served as the Chairman of Bahrain Chapter of the Institute of Chartered Accountants of India (BCICAI) 2008-2009. 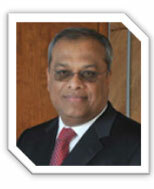 Mr. Balasubramanyam is currently Managing Director, Assure Consulting WLL in Bahrain. Chartered accountants are not only knowledge bearers and intellectuals but also true leaders and visionaries. The recent Diamond Jubilee Celebrations by our parent body ICAI, which was established even before our independence and the decade long existence of the Bahrain Chapter of the ICAI stand as testimonies to the vision and commitment of our senior members. We are aptly called partners in nation building, no matter where we are. During the last ten years Bahrain Chapter of ICAI has grown in leaps and bounds. The recent initiative of conducting the first ever GCC conference in the Kingdom of Bahrain to commemorate the 10th Anniversary celebration is proof of our strength, vision and commitment. The efforts of the current Executive Committee headed by CA Balasubramanyam are really commendable. To organize such an event requires enormous financial, logistical and technical support and I earnestly appeal to all members to lend a helping hand in making this event a grand success. Community living in Bahrain. Are we satisfied in just conducting seminars? Or do we have a much larger role to play in the society? It is time we review our mission and goals. In recent years the Chapter has contributed regularly to the Indian Community Relief Fund. It demonstrates our commitment to the greater cause of nation building. However, is donating to the ICRF a sufficient demonstration of our social responsibility? I think the Chapter needs to widen its scope by contributing not only to the Indian community but also to worthy causes that will benefit the local population here in the Kingdom as well. We are always partners in nation building no matter where we live. I am sure our members will wholeheartedly support the Chapter in discharging its social responsibilities. To this day the greatest achievements of the Chapter have been the work it has done to enhance the CA brand name in the region and the efforts it has taken to ensure that our members feel welcomed as part of a loving family. On the occasion of our Tenth Anniversary, we must unite and take this Bahrain Chapter to greater heights. I urge all the members to come forward and support the Chapter, in whatever way they can. After all, it is the small drops that make up the vast ocean. E&Y. He currently heads the System Audit at Arab National Bank in Riyadh. CA Agnel Pereira (BCom, ACA, ACS) is the past chairman of Bahrain Chapter of the ICAI and has also held positions of Secretary and Vice Chairman. He is also credited with starting the ICAB Toastmasters Club during his chairmanship to enable the members to sharpen their communication skills. Pereira has been the past editor of the Bahrain Chapter newsletter and also the newsletter of the ICAB Toastmasters Club - 'ICAB Voice'. Pereira hails from Mangalore in coastal Karnataka and graduated in Commerce from St Aloysius College, Mangalore in 1987. He secured 25th rank (5th in Karnataka) in the CA Final examination in May 1990, after having passed all papers of CA Inter exam on first attempt earlier. In 1994, he also passed the Company Secretary (CS) final exam on first attempt. Currently Pereira holds the position of Director - Investments & Operations with First Leasing Bank, Bahrain where he is working for the last 5 years. Pereira manages a lease & investment portfolio of over $150 million in the GCC countries and outside. He has another 7 years of work experience in Bahrain, having worked with KPMG Bahrain, in its Audit & Risk Advisory Services. Part of this stint, Pereira handled various engagements for several national and multinational banks and financial institutions and has traveled throughout the Gulf Coordination Council (GCC) countries. Prior to leaving India, Pereira worked for a management consulting firm and a merchant bank for a total of 7 years, in Bangalore. Pereira is active in the social circles and philanthropy, and pioneered the ICAI Bahrain's association with the Indian Community Relief Fund under the auspices of the Indian Embassy, which caters to the troubled Indian labour/workforce in Bahrain. Pereira loves traveling and exploring new countries, having visited over 20 countries so far on business and leisure. He is also active in playing weekend league cricket in Bahrain for the last 12 years. Rajeev is a Fellow member of the Institute of Chartered Accountants of India and has a Masters' Degree in Commerce and Finance. He has about three decades of experience spanning across the areas of External Audit, Internal Audit, Treasury Compliance, Treasury operations, Investment Banking operations and Fund Operations along with expertise in Fund Incorporation for both Listed Equity and Private Equity. Rajeev has worked in various Premier Financial Institutions like National Investor PJSC (UAE), National Bank of Bahrain (Bahrain), A.F. Fergusons (India) and Ernst & Young International (Bahrain). He currently heads the Operations at Al Dhabi Investment PJSC (UAE). 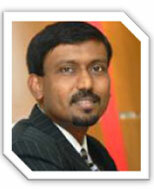 Chandrasekar is an Executive, Internal Audit with Al Khaliji Banking Group, Qatar. He is an expert in Treasury, Credit, Compliance and Corporate Governance. A KPMG alumini who has worked earlier in various banks in GCC and in Citibank Singapore in their Regional (Asia Pacific) Capital Markets Audit, Chandra is a well rounded banker. He is a commerce graduate from Madras University and a Fellow member of the Institute. He has worked in Chennai, Bahrain, Singapore and now in Doha and has travelled extensively as part of his work. Outside his work spectrum he is active in various professional groups besides being a keen debater and speaker. 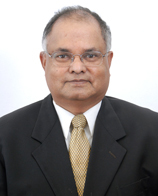 Palani Alagappan is a Chartered Accountant, Cost Accountant as well as a Chartered Financial Analyst. He has over 25 years of experience in Treasury and Investment Bank operations and systems. Currently he works as Director - Investment Operations at Safanad. Earlier he worked as Assistant Treasurer with The National Commercial Bank responsible for Business Development and Support. Prior to that he headed the Operations at NCB Capital managing the operations of Saudi domestic and international brokerage, fixed income trading, mutual funds, hedge funds, private equity and asset management operations. 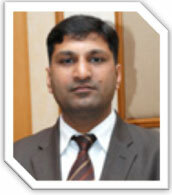 Mr. Surender Kumar Jain is a fellow member of the Institute of Chartered Accountants of India. 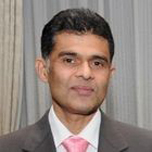 He is currently working as Chief of Financial Affairs of Ministry of Health - Government of Bahrain. He has over 30 years of experience in Budget control, financial management, strategic financial planningand healthcare financing techniques. He has a rich experience of managing the financial and costing system projects in healthcare and is currently responsible for managing the preparation of National Health Accounts of Bahrain. He is a member of various Government committees. He started his career with Kirloskar Brothers, Pune in India. Mr Jain was instrumental in amending the constitution of the Bahrain chapter in year 2000, for ensuring that every chairperson served only one-year term and then passed on the baton to someone else. CA K.Kalyanaraman (KK Raman) is a F.C.A from India besides holding M.Com. FCMA(Ind)., ACMA(UK) and CIA(USA) qualifications. After worked in India from 1980 to 1987 with various major companies in Mumbai, he came to Bahrain in September 1987. He Worked with Aluminum Bahrain (ALBA) for 11 years in various senior positions and saved over One million Bahraini Dinars to ALBA through Internal Audit.. He was instrumental in forming, Bahrain Chapter of the Institute Chartered Accountants of India (BCICAI) after signing an affiliation agreement with Bahrain Accountants Association (BAA). The same was registered with The Ministry of Labor and Social Affairs, Kingdom of Bahrain with H.E. Ambassador of India to the Kingdom of Bahrain as the Patron. The officially registered BCICAI was inaugurated by the ex-President CA. Rahul Roy on 14 September 1998 in the august presence of The Ambassador of India to Bahrain, BAA Chairman and Chairmen from all the Gulf Chapters and more than 180 members attended. KK Raman resigned from ALBA and as the first Indian Chartered Accountant, he got Auditing and Consulting License in the Kingdom of Bahrain and served as partner of PKF International Audit Firm in Bahrain. As BCICAI Chairman, he arranged a high level delegation in 2000 from ICAI with the President, Vice President and The Secretary to have meeting with BAA and Bahrain Ministry Officials for discussion on ICAI support for establishing, branch office of CA Institute in GCC, Bahrain as the Head Quarter. KK Raman resigned PKF in 2002 and started Corporate Consultancy Services (CCS), professional firm concentrating on Management Consultancy Practice. Through CCS saved Millions of Bahraini Dinars to Government companies using Forensic audit/investigations. KK Raman brought Foreign Inward Investment (FII) over BD 25 million to the Kingdom of Bahrain from India by establishing the first commercial bank for State Bank of India in 2006, Bank of Baroda in 2007 and Canara Bank in 2011. CCS has been conducting Executive Management Training Programme regularly in the topics "Stress Management, Essense of Leadership, Improving Productivity to Executives of Major Corporate Groups in Bahrain. 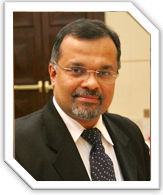 Mr. K. Krishnamoorthy is currently Senior Vice President - Head of Strategic Planning with Al Baraka Banking Group in Bahrain. He has over 30 years of experience in financial and management reporting, corporate and structured finance, credit, strategic planning, project management, equity research and fund management and administration. He was for many years with Arab Banking Corporation, Bahrain, last as Vice President - Treasury. He has also worked in India and North America. You may not be aware of this, but the idea of The Bahrain Chapter of The Institute of Chartered Accountants Of India (the "Chapter") was born in 1985 as a result of a casual and innocuous conversation between two friends over dinner! One evening in May 1985 I happened to meet with K.S. Karthikeyan (ex-Arab Banking Corporation, now retired and living in Mumbai) during a family dinner at a common friend's house. Invariably as with Chartered Accountants, we started to speak about the need for us to be updated on matters so as to retain our professional edge when I remarked casually "How about starting a forum for professional development as the journals from the Institute take 3-4 months to reach us thereby making us professionally out-dated." I received a pleasant surprise when Kartik called me the next morning and asked if I was serious! This was the birth of the idea - as innocuous as that! We met a few months thereafter along with two of our friends - Ravi Uppal (now in Geneva) and Harsh Mohan (now in Montreal) - at a family dinner. This time we discussed the idea more cogently and decided that we needed a formal body of Indian Chartered Accountants representing our Institute in Bahrain. I offered to go India and make a formal application to the Institute headquarters in New Delhi to register the Institute's Chapter in Bahrain. On enquiring of the Institute by phone, we learnt that a minimum of 30 members of the Institute living and working in Bahrain were required to sign the application letter for the application to be accepted. With great difficulty we managed to list around 100 chartered accountants' names and invited them for a luncheon at P. K. Ravi's (at that time Financial Controller of Mantech Computers, now a successful businessman in Bahrain) apartment in Kuwaiti building (this building has now been identified for demolition - it was the Seef Mall of those days as it housed many shops and small restaurants!). Of the 100 or so invitations sent out, only 35 persons turned up at the luncheon. While we were disappointed that our labors did not yield the response we had expected, we nevertheless heaved a sigh of relief as we had the minimum required for the signatures on the application! After my overnight sleepless plane ride to New Delhi, lobbying our application and waiting with bated breath for the next 3 weeks - on one fine Monday morning I received the approval! The Chapter was born - officially. The Founder Committee Members of the Chapter were K. Krishnamoorthy - Chairman, Ravi K. Uppal - Vice Chairman, K.S. Kartikeyan - Secretary, and Harsh Mohan - Treasurer. We had our first program in April 1986 - the Budget Speech by Nani Palkhiwala - it was a grand event attended by over 800 persons and was held in the Gulf Hotel. This was the birth of the Chapter - which has now blossomed into one of the premier professional associations in Bahrain - thanks to the yoeman efforts of every Office-bearer and member of the Chapter who has contributed / is contributing to its impressive status - particularly Kalyanaraman and his Committee who brought the Chapter out of the abyss and into a well-recognized body. I wish the Chapter well in its efforts to keep the flag of our institute flying high. Design by Iolite Softwares Pvt. Ltd.